We have some very talented authors in the Institute, and their books are listed below! Diane L. Dunton discovered the healing power of the creative arts after the premature death of her first husband and her own journey with breast cancer. An avid cyclist, writer, photographer and accomplished portrait and landscape artist, she is also a practicing Reiki Master and Trainer. Diane finds these talents enrich her professional life as founder of Potential Released Consulting Services, the company she started in 1996 to provide specialized human resource and business consulting and training to corporations and nonprofits. She is a skilled motivational public speaker, sharing her life experiences and assisting others in nurturing their own creative life energy to discover and pursue their passions. 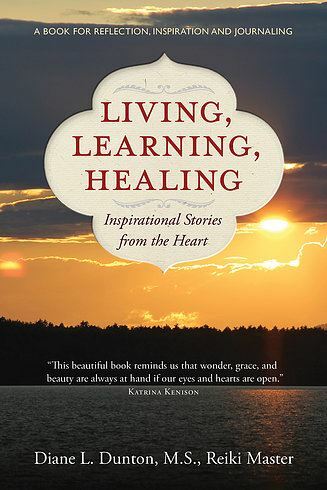 Her book, Living, Learning, Healing: Inspirational Stories from the Heart(Rainbow River Press, February 2017), invites readers to let go of limiting thoughts and behaviors and embrace possibility. This collection of nonfiction essays for reflection and inspiration is accompanied by Diane's own Maine nature photography and a section for personal journaling. Diane earned both her B.S. in Business Administration and M.S. in Clinical Counseling at the University of Southern Maine. She has specialized training with National Training Labs, the Gestalt Institute, the Center for Creative Leadership and the University of Michigan’s Organizational Career Development and the Center for Reengineering Leadership programs. Her business and management articles and work on organizational development and leadership have been widely published in both the United States and the United Kingdom. She is a contributor to the American Society for Training and Development’s Team and Organizational Development Sourcebook, which is used nationally by human resource professionals. Active in the Maine business, arts and wellness communities, she has served on the nonprofit boards of the American Society for Autism Treatment and the Good Shepherd Food Bank, and donated her time to the Dempsey Cancer and Community Center, and the Tri for A Cure and Relay for Life cancer fundraisers. Diane lives by the water with her husband in the Lakes Region of Southern Maine. Click here to learn more. It has been said that life is ten percent about what happens to you and ninety percent about how you react to it. Brenda Fontaine is a living example of that. 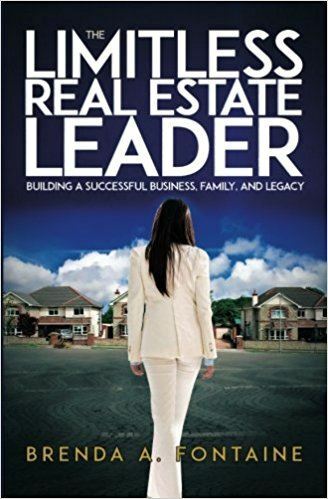 She tells us the story in her new book, The Limitless Real Estate Leader. Raised by an alcoholic mother and an overachieving father, Fontaine was able to extract important lessons from her upbringing. She has applied them both to her business career and to her personal life. The Limitless Real Estate Leader is a heartwarming motivational business book. Yes, it's title suggests that it is just for Realtors®, but in fact this book is an incredible instruction kit for anyone who wants to run a small business as well as for corporate types. You will learn how to treat people to get the best from them. You will also learn how to embrace the strengths of the individuals on your team in order to provide the best benefit to your customer. As a result, she has built one of the most successful real estate enterprises in the country. That's not simply an unfounded boast. Anyone can check the numbers to see that Fontaine Family - The Real Estate Leader, is one of the best in the business. This book shows you how Brenda got there, and provides numerous lessons for life and business. Click here to learn more. "WHAT BRINGS YOU HERE?" the old jewelry maker asked. Moments later, Kevin found himself alone again by the red wooden sign depicting the massacre that occurred here so long ago. As Kevin stood, absorbing the soft wind that always seems to blow on the northern plains, he reflected on the strange sequence of events that had brought him to this lonely place, and how an old Lakota woman he had just met, an evolutionary astrologist he had never met, and a rare voice disorder he had never heard of had joined forces to make him stop, look inward, and think. 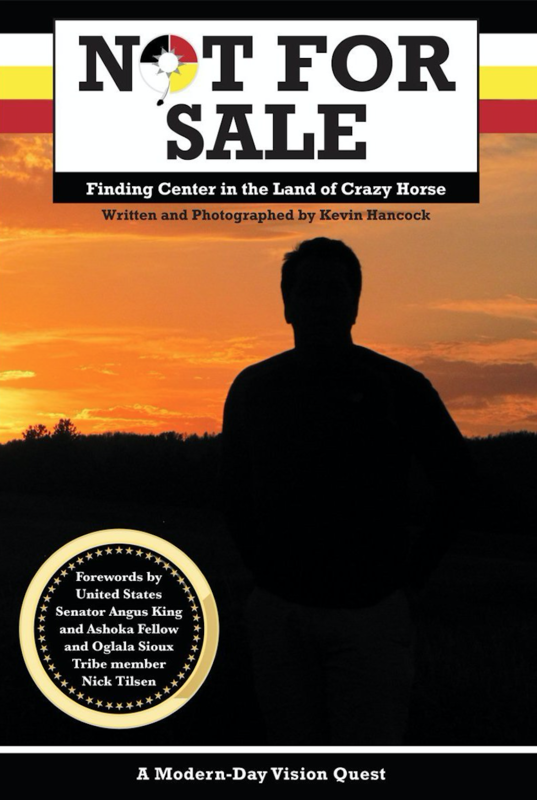 NOT FOR SALE: Finding Center in the Land of Crazy Horse is a unique iconoclastic memoir that traces one businessman's journey deep into Indian country, and even deeper into his own soul. In a corporate world hallmarked by the never-ending quest for bigger, better, more, this CEO of one of America's oldest family businesses contemplates an organizational structure where the goal is to do less, not more. In a 24/7 internet- wired world consumed with roles, responsibilities, and external accomplishments, Kevin learns to look inward for meaning and purpose. Through a series of successive, solo trips to the Pine Ridge Indian Reservation, Kevin learns many powerful lessons. In a modern-day adventure strikingly similar to the ancient Lakota Vision Quest rite, Kevin separates from his own tribe for the purpose of seeking a deeper sense of self. Along the way, Kevin comes to be thankful for the partial loss of his own speaking voice as he learns it was his soul's way of getting him to stop working, stop leading, stop caretaking. In losing consistent access to his voice, Kevin discovers a pathway, a calling, to strengthening the voices of others, which he uses to think differently about the future of Pine Ridge, the future of Hancock Lumber, and the future of tribes everywhere. Click here to learn more. 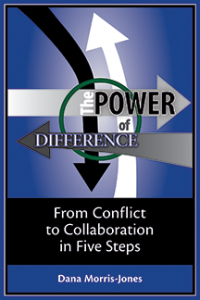 The Power of Difference provides a comprehensive roadmap for anyone who works in an organization and struggles with the frustration of unresolved conflict that is often the source of work disruption and disengagement. The pragmatic five-step model the book is based on draws on more than forty years of knowledge and experience in organization development, social psychology, and conflict resolution, and brings together both time-tested and relatively new theoretical bases for processes to resolve organizational differences constructively. Real case illustrations make it understandable and user friendly. The model and accompanying skill-building activities provide a toolbox for OD and HR professionals, coaches, counselors, leaders and managers who assist and guide others to resolve organizational differences. Click here to learn more. Derek Volk's oldest child - his only son - was two-years-old when his wife suggested, "Something is not quite right with Dylan." They struggled for the next several years as they were bounced from one "expert" to another, each offering a unique perspective on Dylan's challenging behaviors. Finally, at eight-years-old, Dylan was diagnosed with Asperger's Syndrome and the Volk family was able to start making sense of Dylan's differences. 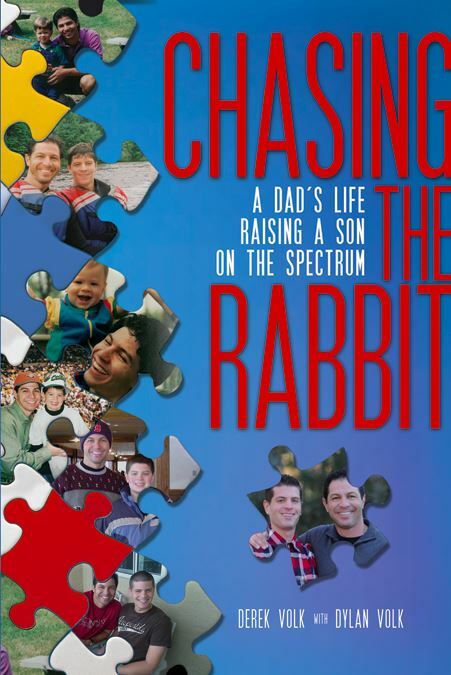 In Chasing the Rabbit: A Dad's Life Raising a Son on the Spectrum, Derek Volk shares his experiences raising a son on the Autism spectrum. Both Dylan and Derek write about the challenges, triumphs and coping strategies from the early days to the adolescent years to life in the "real world" as a young adult. This book showcases the unique relationship between a father and his son who has spent his entire life chasing the rabbit. Click here to learn more.